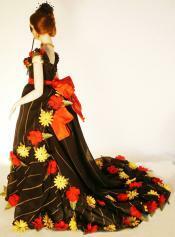 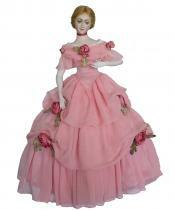 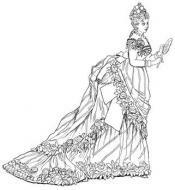 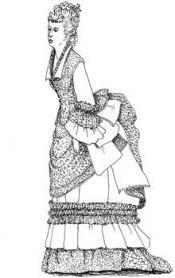 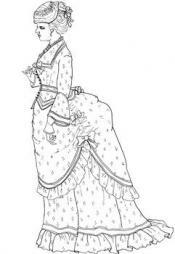 This ball gown was designed by Worth in 1873. 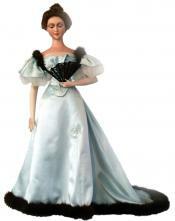 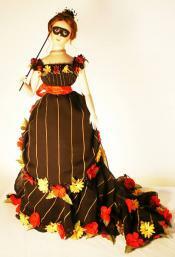 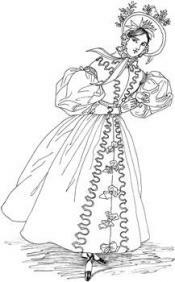 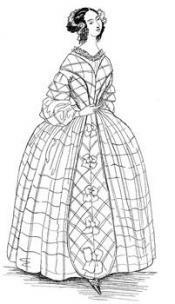 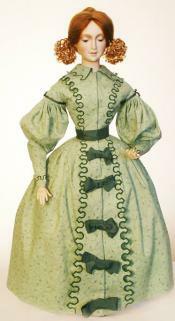 1840 Day Dress of Silk Plaid.��Fits 24 inch doll. 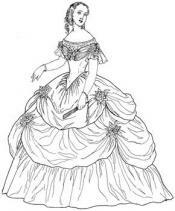 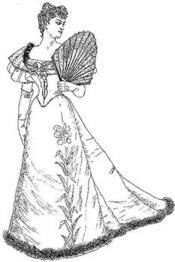 The three tiers, made very wide with hoops, were very popular in the mid 1860's.